Asia and the Pacific is a dynamic region. Regional megatrends, such as urbanization, economic and trade integration and rising incomes and changing consumption patterns, are transforming its societies and economies while multiplying the environmental challenges. These environmental challenges range from growing greenhouse gas emissions, poor air quality, land use change, pressure on marine ecosystems, biodiversity loss and increasing demand for resources, such as energy and water. These megatrends are already shaping the future patterns of resource use and defining who benefits the most and who loses. A basic premise of the 2030 Agenda for Sustainable Development is that trade-offs between environmental protection, shared prosperity and social progress can no longer be viewed as acceptable. Aligning these trends with sustainable development requires political will and action to reshape the relationships between the economy, society and the environment. 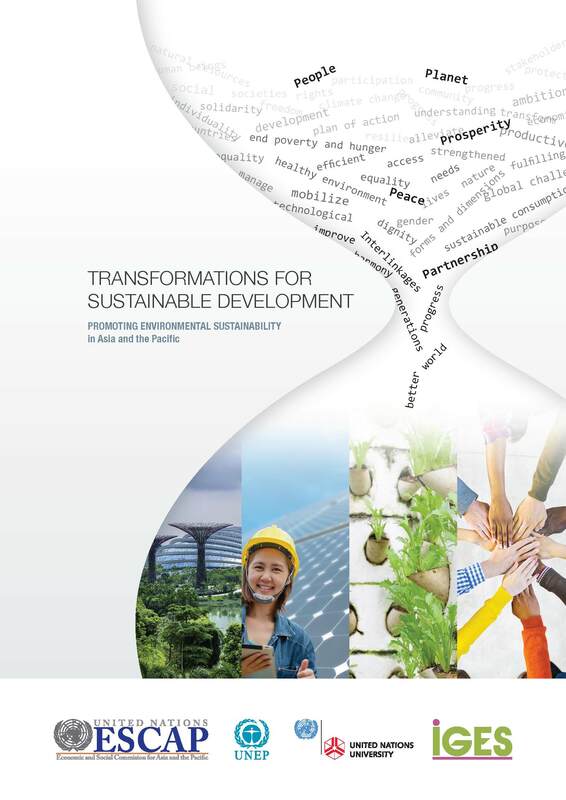 This report examines four critical determinants of the relationships between these three dimensions of sustainable development as targets for fundamental transformations—in social justice, resource efficiency, investment flows and economic structures. This report is the product of a combined effort by four institutions: the United Nations Economic and Social Commission for Asia and the Pacific (ESCAP), the United Nations Environment Programme, the United Nations University and the Institute for Global and Environmental Strategies. It is the seventh in a series of reports published every five years since 1985 by ESCAP and partners (formerly known as the State of the Environment in Asia and the Pacific series).